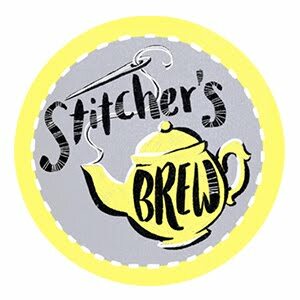 Today's interview is a bit of a combo of our Customer Spotlight and Knitriffic Blogs features. 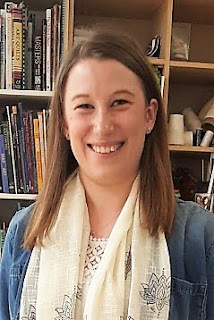 We met Abigail at a sewing show in Birmingham and were aware of her lovely makes using Girl Charlee fabrics but we didn't know she blogged about them. After checking out her blog which only started in February, we think she is a blog star of the future! I grew up in Bromsgrove, Worcestershire with my parents and younger sister where I met my husband Matt at high school nearly 10 years ago. I am now a secondary science teacher which I have been doing for the last 5 years after completing a degree in Zoology. I come from a family of sewers, with my mum being a textiles teacher and my mom-in-law also makes a range of different bags. I did GCSE and AS Level textiles at school but decided to go down a scientific career route instead so I stopped sewing for a few years between leaving school and starting my job. What inspired you to start your sewing & your blog? When I started my job I decided that I wanted you get back into sewing during the holidays. I had been given my Grandmas old sewing machine so in the Easter break I bought some fabric, found a pattern in the first Great British Sewing Bee book and started making myself a pair of matching tie side cushions. However, I hadn’t even sewn one of the ties together and the machine started smoking... a lot! As much as I would have loved to use my Grandma's machine I decided that it was not going to work without setting the house on fire. Having bought all the fabric I couldn’t just stop, so I went back to the shop and bought a Brother LS14 machine. 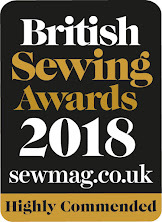 Since then I have been on a few workshops including a couple with Chinelo Bally from the Great British Sewing Bee who gave me so much more confidence in drafting my own sewing patterns. Which I am doing more of now than using commercial patterns. I used a lot of sewing blogs as inspiration for items that I wanted to make and so liked the idea of using one to keep a record of all my makes and show family and friends what I was up to. 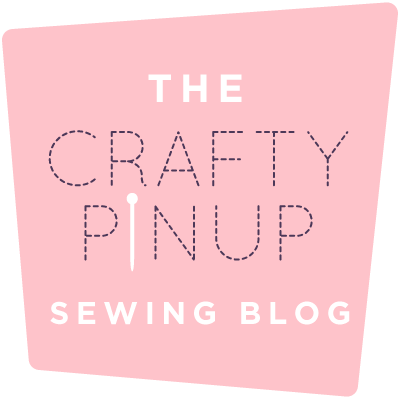 At the start of Feb half term I went to a fabric printing workshop with my mum, mom-in-law and family friend and after a very brief conversation I decided to start a blog about my makes and so that night SewingInstead was born! This year I decided that I wanted to make at least two items a month, easier said than done with a full time teaching job! I managed January fine as the items I made were both simple (Kimono and body-con midi dress), February was made much easier with the half term break (maxi dress and cocoon cardigan) and March has just about been a success with 1 and a half items made (pencil skirt and cami top). 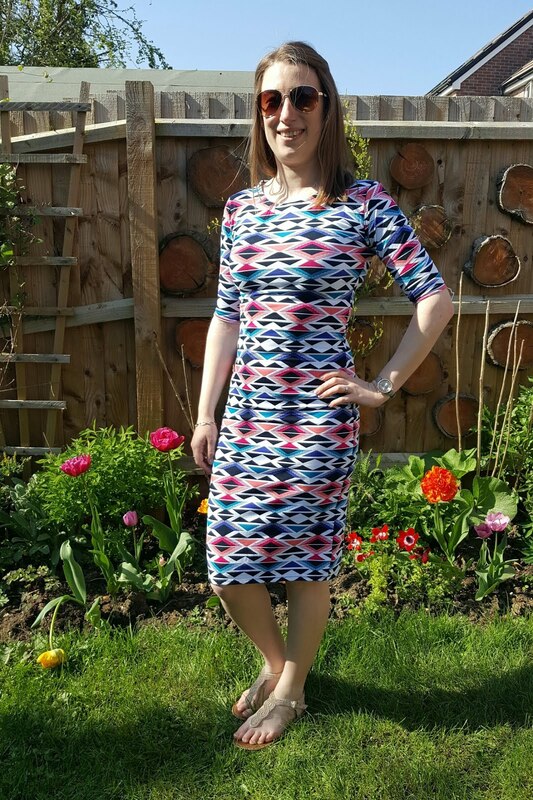 April has been a crazy sewing month so far because of the Easter hols and I am loving it! I am aiming to document these makes and any other sewing events that we go to on my blog. After the workshop, I started thinking up names with my Mom-in-law and she came up with SewingInstead which is definitely true. I have a long list of items I want to have a go at making and a large box full of fabric which is just waiting to be turned into something amazing and so sometimes I would much rather be sewing instead! I wanted to have a name that was unique and so I went through loads on wordpress and checking on Google to see which was best but always came back to this one. 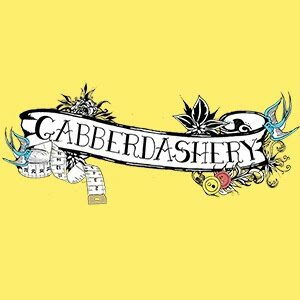 How long you have been sewing and what are your plans for the future? I have been around sewing machines and fabric from a very young age, I cant really remember a time when I didn’t know how to use one it is just so natural to me. However, it has only been in the last few years that I have started to experiment more with what I am making and try out new skills. Sewing with knit fabric was relatively new to me as well as pattern drafting but I am loving it as they both give me so much freedom in what I can make. I would love to continue with my blog past this year and develop it further into a potential career or something I could put more time into outside of teaching but as it’s so early on I am just looking forward to see where it takes me. What inspires you/what would you describe as your design aesthetic? I don’t think that I have a particular style that inspires me, just whatever happens to be on trend at the time. I use Pinterest A LOT! If I see something that I like I usually see if I have a pattern that I can adapt or draft something myself to make it. 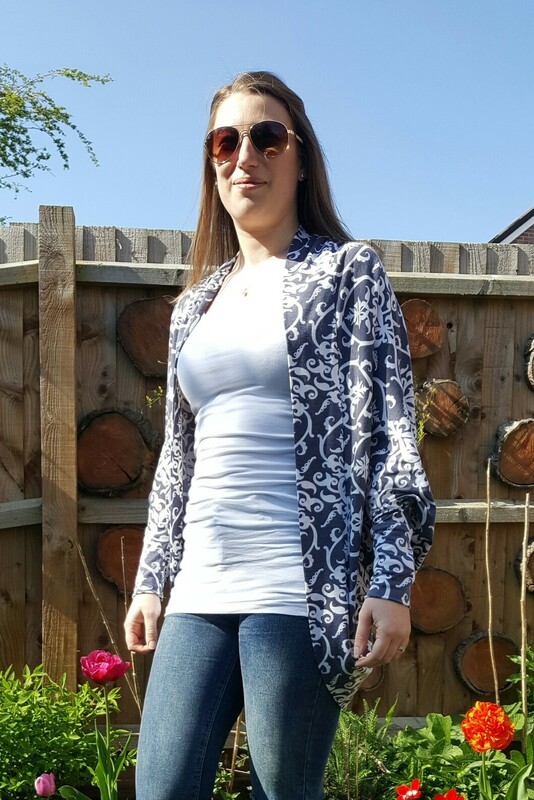 I haven’t bought many commercial patterns recently as I have a range of patterns pieces that I can alter to make my own design or using instructions from other blogs for items like my Kimono jacket. Having said that I have just bought the Zadie and Rosa patterns from Tilly and the Buttons and so cant wait to try them out! I tend to mostly make summer style clothes, I love the summer season and the fashion trends that come out in the spring/summer so I automatically lean towards those styles. What is your favourite thing about sewing? I love the challenge of making my own clothes and seeing the finished product. I like trying out different techniques and making things I have never done before, I rarely make the same thing twice and if I do I make alterations to the pattern. I love having family members that are also into sewing so I can ask for advice and share ideas of things to make. 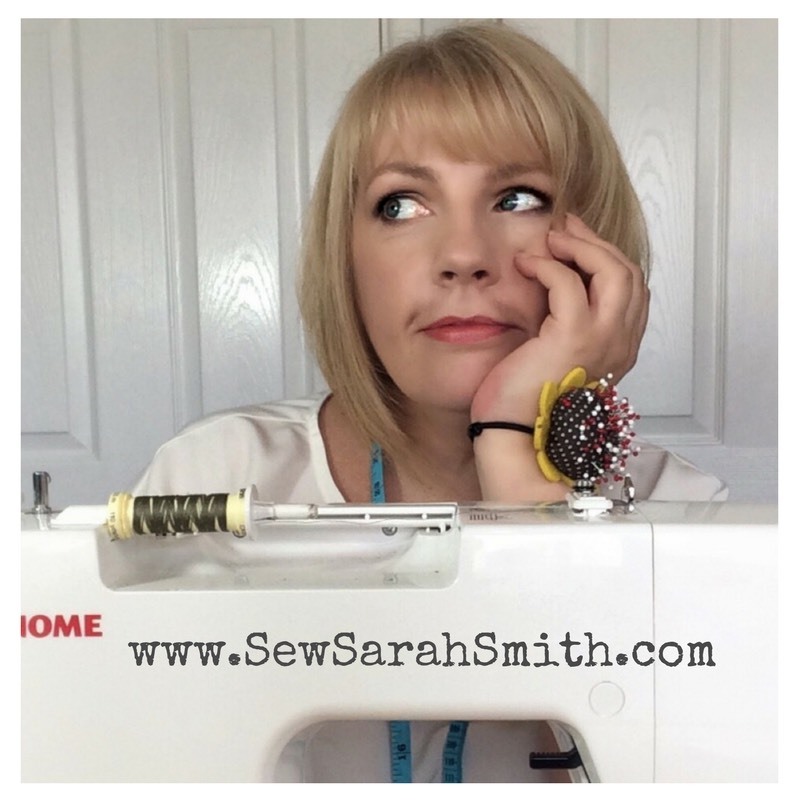 I have only recently started to see how big the sewing community is on Social Media but I love the support and sharing of ideas which is so inspiring and I hope it helps to get more people into sewing. What is your least favourite thing about sewing or your biggest challenge? Hand sewing or finishing off. If I don’t get something finished in a day I struggle to go back to it to finish it off. My Dad is still waiting for a pair of shorts to have a few buttons sewn on which I started at least a year ago now! Once I start something I am very determined to finish it, I completely lose track of time and so will not stop for food or to drink unless someone stops me! I am not sure this is completely healthy but once I start sewing I really struggle to stop! I recently tried my hand at a lot of hand sewing though as I made a lot of ties for Christmas presents, it wasn’t as bad as I expected but I won’t be rushing back to make lots more. Ties = lots of hand sewing and finishing off, so my worst nightmare! Who do you look up to in the sewing community? There are so many people I could say so I will try and keep this short. One of the first blogs I came across was Self Assesmbly Required!. Emily makes beautiful clothes and so I am definitely inspired by her blog and her makes. I would also say Chinelo Bally and Jennifer Taylor from the sewing bee. I have met both of them a couple of times and love how they have made their experience into a career. Chinelo taught me some amazing skills for self drafting my own patterns and Jennifer has done so much to inspire people and get them into sewing. I have been dancing since I was about 5 and that is partly how I was around so much sewing when I was younger. My mum used to make most of our costumes and so we got involved with the designing and making of them as soon as we could. I now go to yoga and dancing every week but I haven’t yet made anything to wear to the classes, yoga pants are on my list or a loose fitting top. What are your Favourite Girl Charlee Fabrics? 2 Colour Geo triangle arrows. 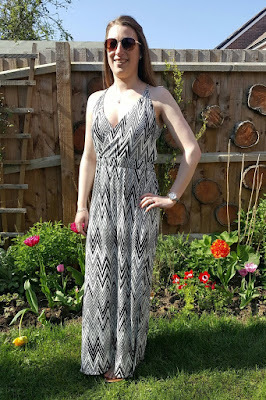 I am a huge fan of these types of prints and so made my body-con dress out of it, just need the weather to be right to wear it as I love it! 3 Charcoal grey ivory baroque. This was so soft and I loved the pattern, it made my cocoon cardigan and the effect of the pattern is so beautiful. 4 Red Navy blue vintage navajo ethnic cotton spandex. I saw this fabric at the sewing for please show at the NEC Birmingham. I haven’t made anything with it yet but can’t wait to use it, the pattern is beautiful. 5 Purple Magenta ikat cotton spandex. I also got this one from the NEC, I am thinking of making another maxi dress with it as it is so striking and bold. Thanks Abby! We love your makes and look forward to seeing more on your blog. Check out Sewing Instead to see Abby's makes in their full glory! 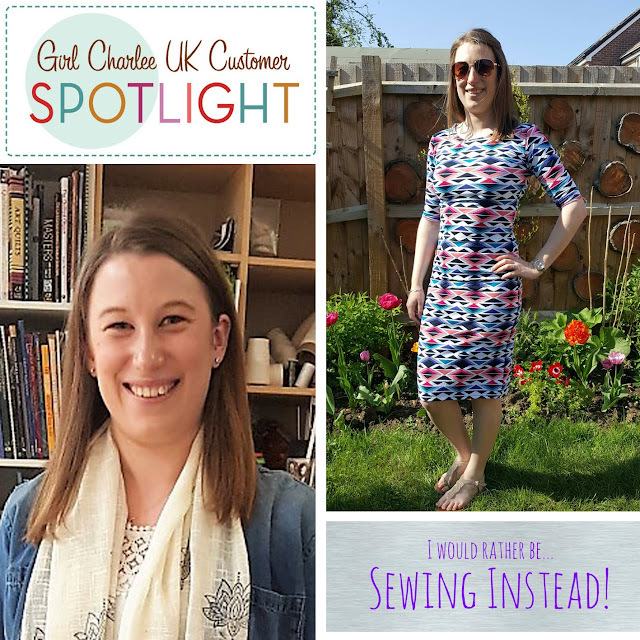 If you'd like to be featured in either our Customer Spotlight or Knittriffic Blogs features please email sales@girlcharlee.co.uk, we love sharing your stories! Don't forget to sign up for our email updates to keep up to date with all our New Fabrics, Sales, Giveaways and all our Knitty News! You can sigh up HERE.